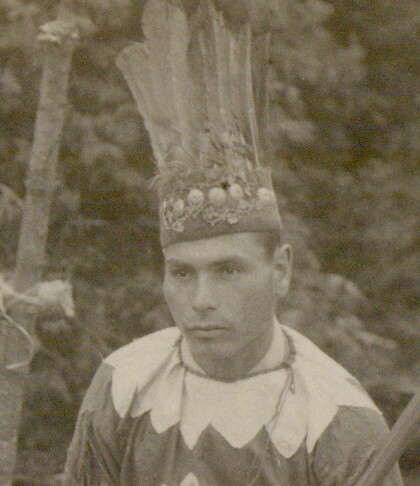 Two of the 25 photos have been reproduced below, each with a detailed enlargement. 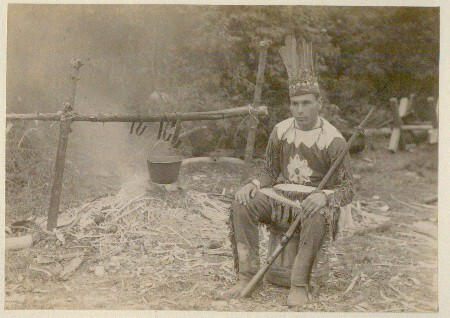 This man in aboriginal attire appears in one other picture standing with a whiskered man beside a beached birch bark canoe. 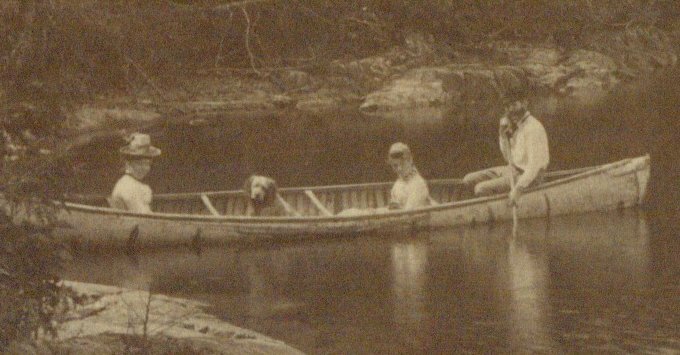 It may be the same canoe and same man as in the top photo. This album is part of the Earl Caughey papers. There is nothing to identify the people or places, except one photo is of water lilies and has a hand-written note on it saying July 21, 1892. Welsh Lake. "The Eclipse Album" into which the pictures have been glued was manufactured and patented by Felix Reifschneider of New York. 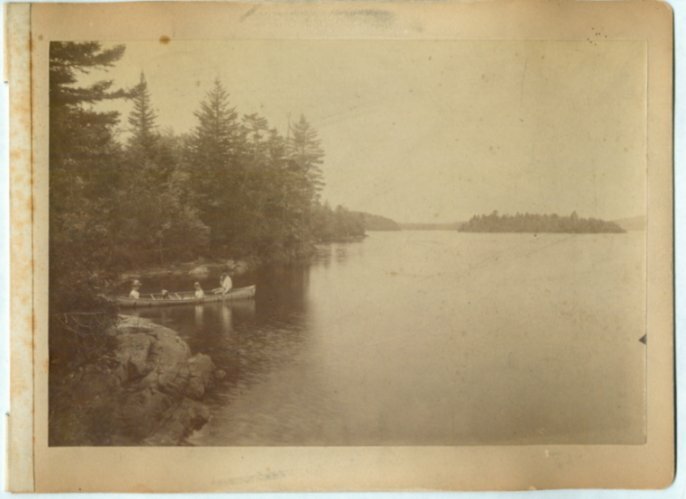 Most photos are of people in summer pursuits: camping, playing tennis, canoeing, sailing and picnicking. Many are just of rural scenes, some very faint ones show fishing camps and two are of horse and wagon teams, two hitch and four hitch. There are none of automobiles. One does show a cable car going up a steep hill to a lookout. There are two post cards from California and two small photos of girls' school classes with everyone dressed in black. The one of St. Andrews, taken from near the Algonquin Hotel, has been reproduced in publications on the Town.